“Kittle folk are the Volunteers/They ride wi’ over mony spears” Caledonian adaptation of a traditional Scottish song. 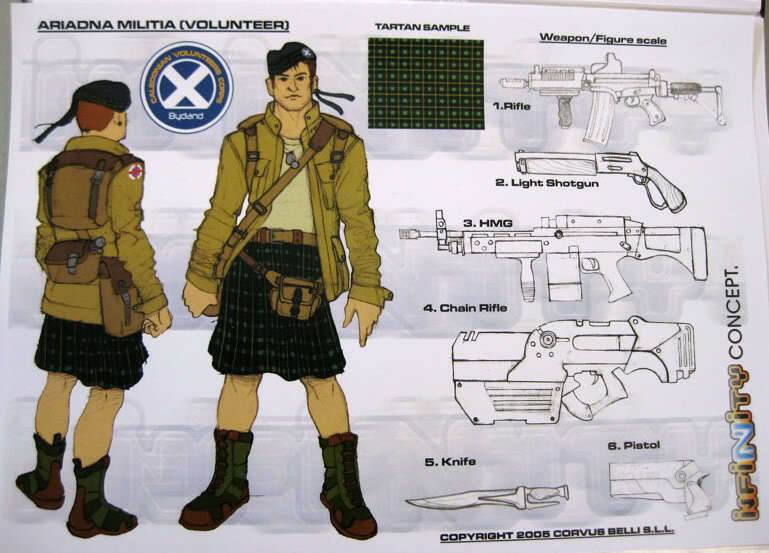 It is an old tradition that the Scots enlist to fight in their own wars as much as other people's. Accustomed to death in foreign lands, the Scots do not fear dying to defend their own. 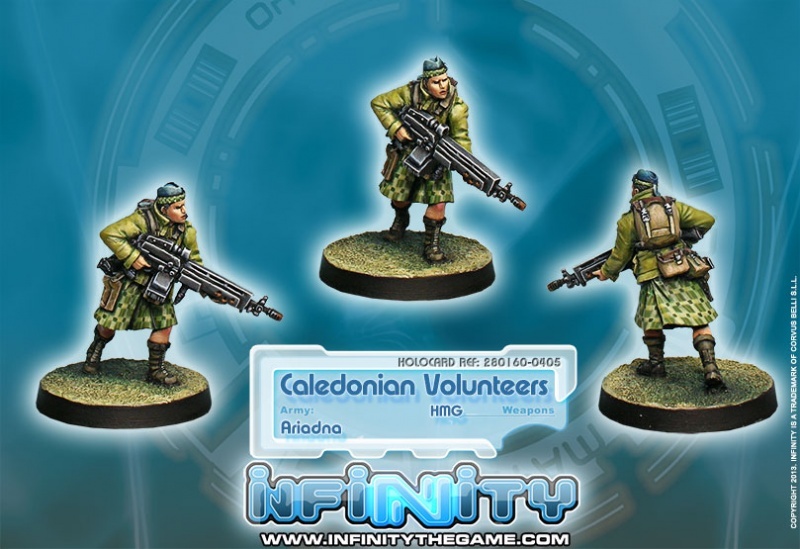 The Caledonian Volunteer Corps of Territorial Regiments was created when it was understood that the Separatist Wars were something more than a probability. 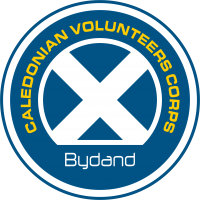 At the moment, the Volunteer Corp are integrated into the main body of the Caledonian Army, jointly collaborating with the rest of the Ariadnan Troops. 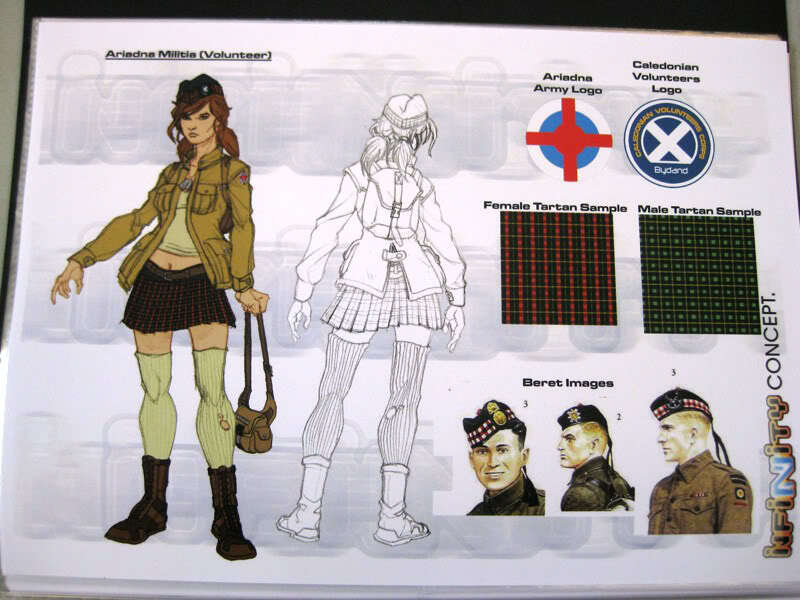 As its name indicates, the Corps is formed by regiments of clans or territories, their origins indicated in parentheses in the Division name. Like many line regiments, the Volunteers have a high opinion of their Corps and they believe themselves to be slightly superior to the others. 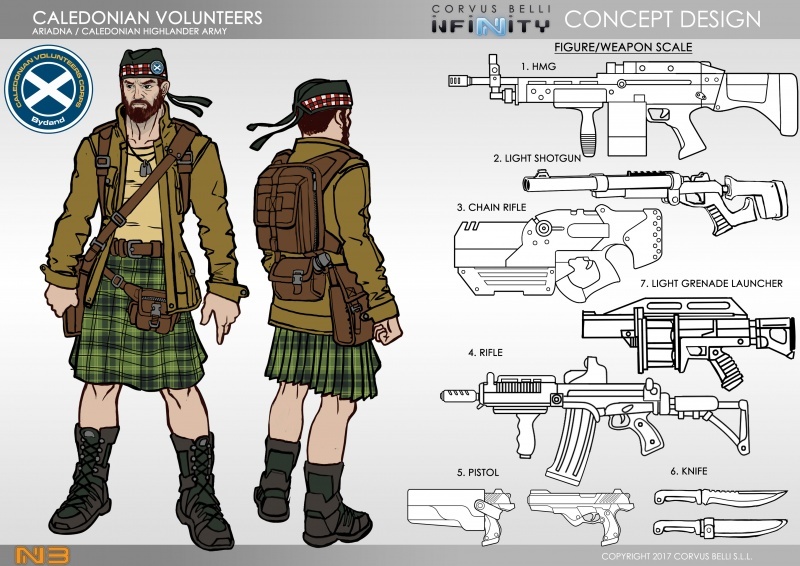 Their men and women come from vast and varied origins, including hardened workers from the mining industry, the most desperate elements of the urban slums and, as it is custom in many Caledonian regiments, a good proportion of the Clans' thugs. 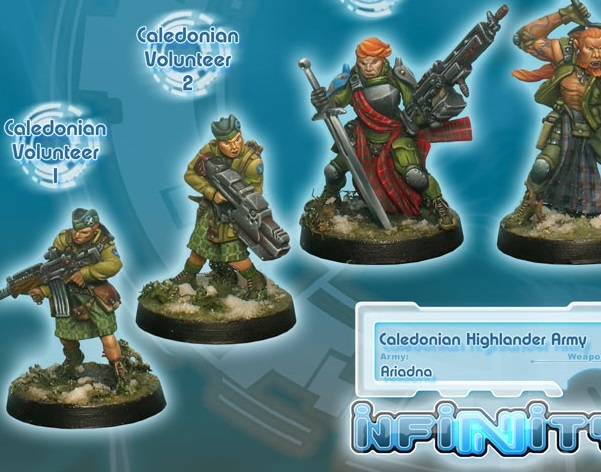 For that reason, amongst the Caledonian population, these troops have a rowdy reputation. 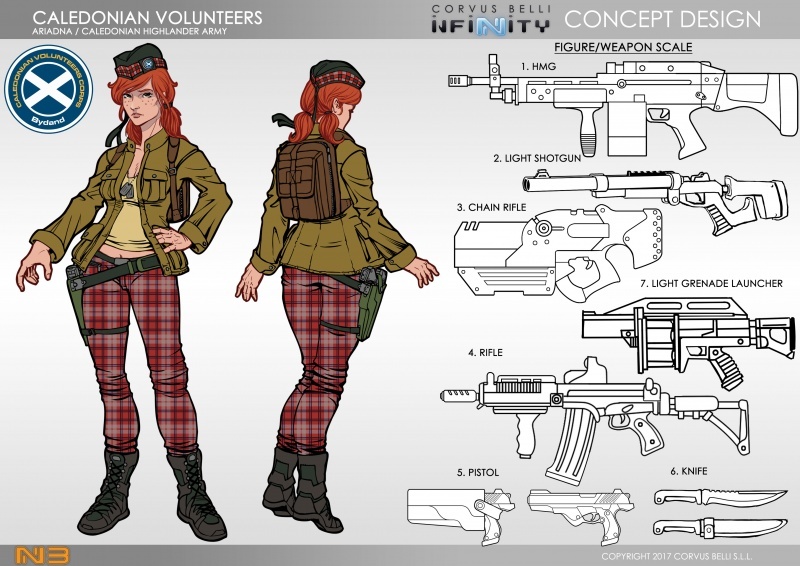 The Volunteer's attitude is evident in their battle slang, a motley mix of English and Gaelic, strongly seasoned with Russian expressions and nasty words: Pig Latin at its finest. 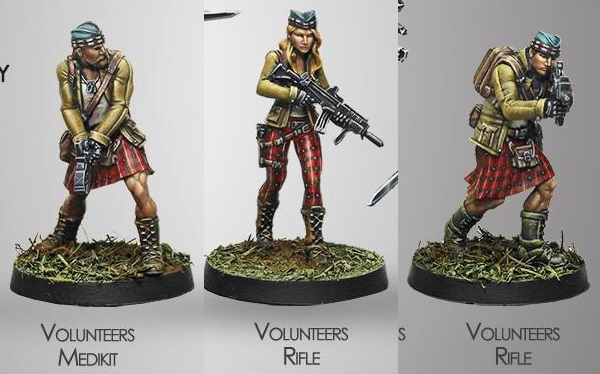 Because the daily work of these men and women consists of fighting in the hundreds of wars and border skirmishes that lay waste to their country, in the most distant and coldest corners of Caledonia, everything for a scant wage and a tin of field rations. 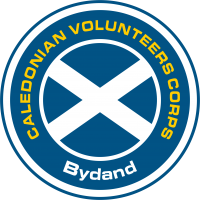 But that is the venerable tradition of the Caledonian Volunteers. This page was last modified on 3 April 2018, at 07:22.